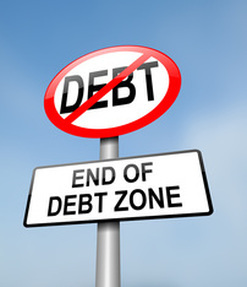 Many clients ask what options are available besides filing bankruptcy to deal with debt. One option often overlooked is debt negotiation. This can mean many things from payment in full after a set monthly payment plan, lump sum settlement, or some combination of both. At Witt Law Firm, we help clients reach favorable settlements via aggressive debt defense for credit card lawsuits in NC, car repossession deficiencies, home foreclosure deficiencies, personal loans, and business debt. Be aware that lump sum settlement for less than the full amount will usually be reported as settled for less than full value which can damage your credit and often results in a 1099-C being issued by the creditor for cancellation of debt. A 1099-C basically means you will be taxed on whatever is written off by the creditor. If you would like to discuss debt settlement strategies as a possible path to freedom from growing debt please give our attorneys a call to discuss how we can help. ** IRS CIRCULAR 230 NOTICE: In order to comply with certain IRS regulations regarding tax advice, we inform you that, unless expressly stated otherwise, any tax advice contained in this communication, including any attachments, is not intended or written to be used, and cannot be used, for the purposes of (i) avoiding penalties under the Internal Revenue Code or (ii) promoting, marketing or recommending to another party any transaction or matter addressed herein.